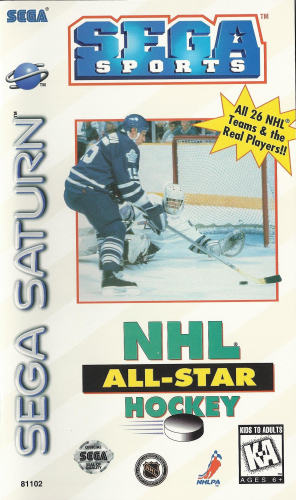 The grace and power of hockey comes to the Saturn with NHL ALL-STAR HOCKEY. All of the teams and players from the NHL are here. When the games start, you can punish your opponents with multiple checks, score game winning goals while on the power play, and light the siren with powerful slap shots. With Video Motion System graphics and 16 different playing perspectives, you won’t miss any of the action. Try to put the biscuit in the basket with NHL ALL STAR HOCKEY.